Riesenschnauzer Mittelschnauzer Puppies for sale! Zwergschnauzer News! Contact Us! Our friends! Guest book! This site is devoted to the most beautiful and elegant breed - to schnauzers and remarkable kennel DINAMUNDE. In kennel work is conducted on breeds the riesenschnauzer, mittelschnauzer and zwergschnauzer. Dogs used in breeding work and have excellent exhibition estimations, pass a rate of training, and also check of health. 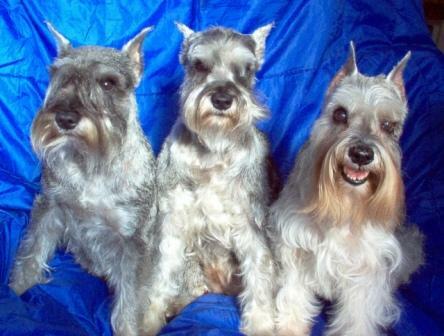 The kennel is always glad to offer you beautiful, elegant and the best puppies of schnauzers. Thanks that have visited our site!